New Orleans has a reputation that precedes itself. 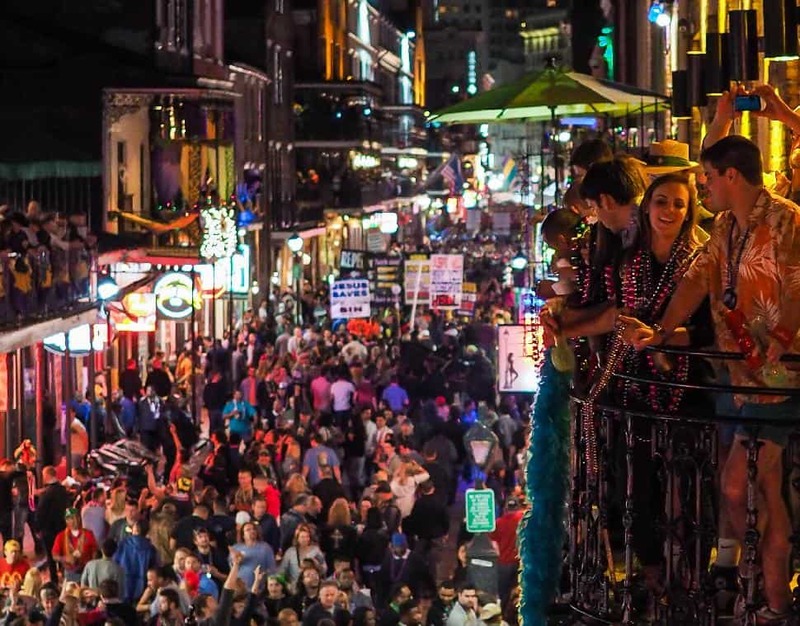 Best known as party central, much in thanks to Mardi Gras, the Big Easy is actually Big Fun the rest of the year too. Visitors to this Mississippi River Delta city, affectionately known as NOLA, will find plenty of ways to fill an itinerary, multiple times over. What do we love it for? Zesty Cajun and Creole cuisine, exciting Bourbon Street, voodoo mysticism, the charming French Quarter and a boisterous jazz scene are just the start. A mix of culture and European architecture have created a vibrancy that just can’t be replicated anywhere else in the world. In eclectic New Orleans, visitors will be hard pressed to find any boring downtime. Here are 50 ways to experience this dynamic city. The southern United States was once littered with grand Victorian-style mansions, surrounded by rich plantation land. However, following the events of the Civil War many did not survive the conflict. The Garden District in New Orleans is home to some of the best preserved mansions in the South. The grandeur is best admired long St. Charles Avenue. The pure white, privately owned Victorian Colonial Revival-style Wedding Cake House is the crown jewel. Steamboat culture isn't just limited to Mark Twain's Missouri; visitors can take a sentimental journey upriver on New Orleans' Natchez Riverboat. This two-hour cruise glides along the river, features live jazz and a dinner of traditional Louisiana fare; the likes of gumbo and fried fish. If the river views aren't impressive enough, the sweeping Big Easy skyline on the way back will be. 3. Visit the "Cities of the Dead"
Sometimes it seems as if New Orleans is comprised completely of cemeteries. This is a city that honours the dead, and occasional features funeral processions with an accompanying band. 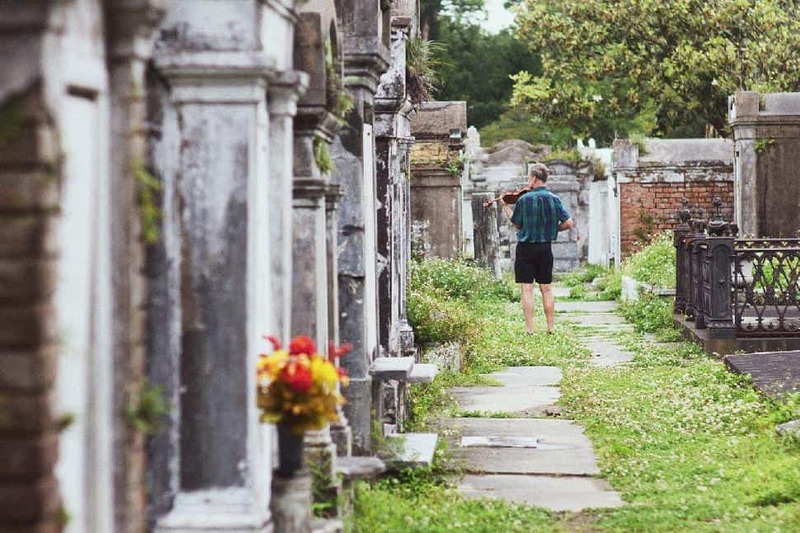 The cemeteries feature equal splendor in their above-ground mausoleums, which are used in lieu of traditional graves, due to risk of flooding. Visitors can tour these "cities of the dead" and marvel at the expert stonework and shrines. They honour some of the city's most famous residents such as Voodoo Queen Marie Laveau, ragtime composer Paul Sarebresole, and painter Ralston Crawford. They're also the future resting place of actor Nicholas Cage, who owns a pyramid-shaped plot in St. Louis Cemetery No. 1. Noshing on huge vats of tiny lobster-like crawfish, boiled in a slurry of spices, is one of Louisiana's greatest contributions to the culinary world. Unfortunately, getting invited to a crawfish boil typically involves knowing a Louisiana local with a big pot and a couple hundred crawdads on hand. However, visitors paying a Friday evening visit to R Bar at the Royal St. Inn can take part in their boil. The best part? The crawfish are free, but visitors have to move fast. Even the most oblivious visitors to New Orleans will notice the "Be Nice or Leave" placards outside many establishments. They all come from one place - Dr. Bob's. The man behind New Orleans' most recognizable folk art has been featured in the New Orleans Jazz Festival, the Smithsonian Institute and the House of Blues. His eclectic pieces usually feature beloved local scenes like swamps, shotgun shacks and local wildlife. All of them are made from salvaged materials like trashcan lids, coffee cans, and debris from Hurricane Katrina. Although it has been a decade since Hurricane Katrina broke the levees of New Orleans, flooding the city like a hole dug in the sand, the city continues to rebuild itself. 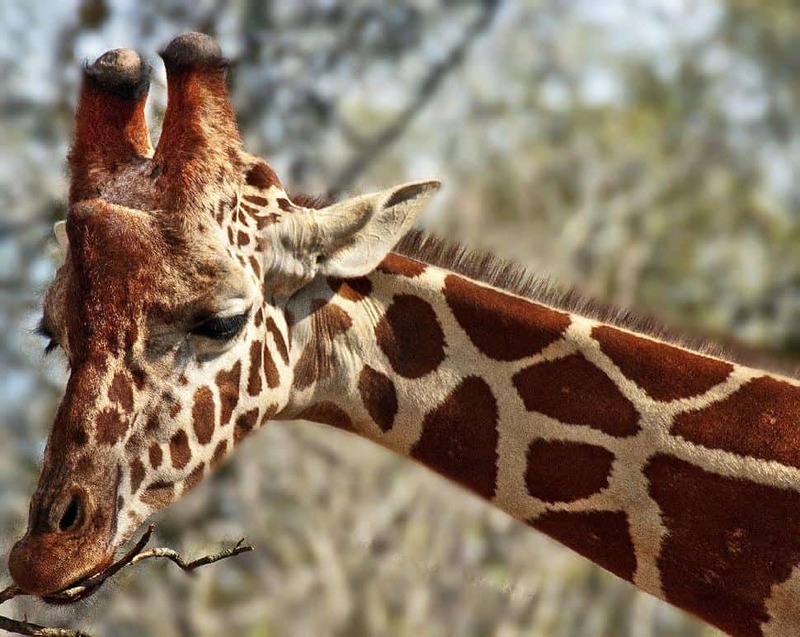 The devastation is a chance to participate in voluntourism and do some good. Organizations such as Common Ground Relief offer opportunities to help the community by rebuilding houses and establishing urban farms. It allows visitors to learn a little more about the city and connect with local residents firsthand. Shut down following Hurricane Katrina, the world's oldest continually running streetcar, is once again in operation. 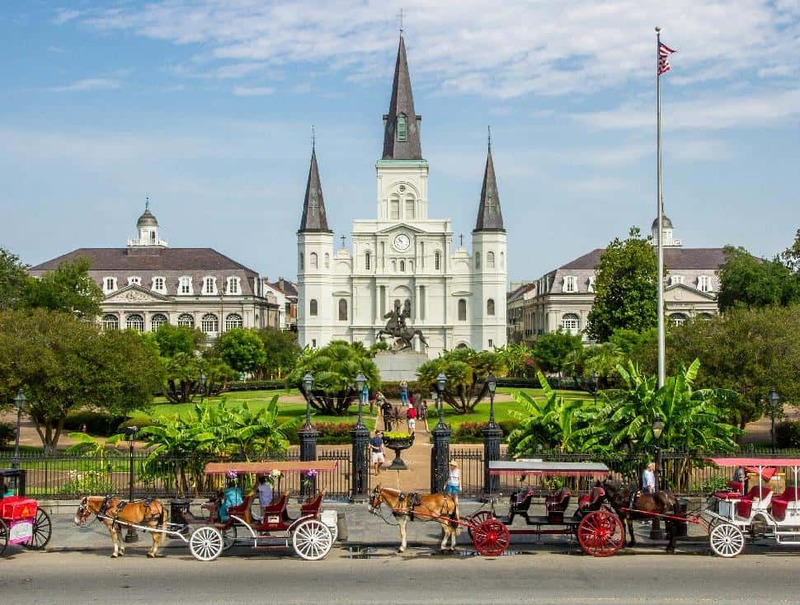 The St. Charles Streetcar offers a scenic 20 kilometre ride from the edge of the French Quarter, past the grand mansions in the Garden District, all the way to Riverbend. Did we mention it's been running this route for the past 150 years? Talk about taking a ride down nostalgia lane. Why can't you call a beignet a donut? 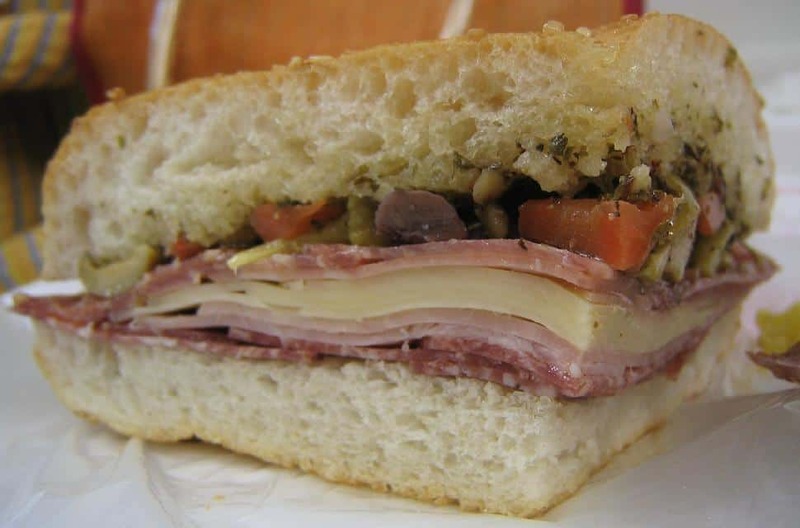 What differentiates a muffuletta from just another sandwich? 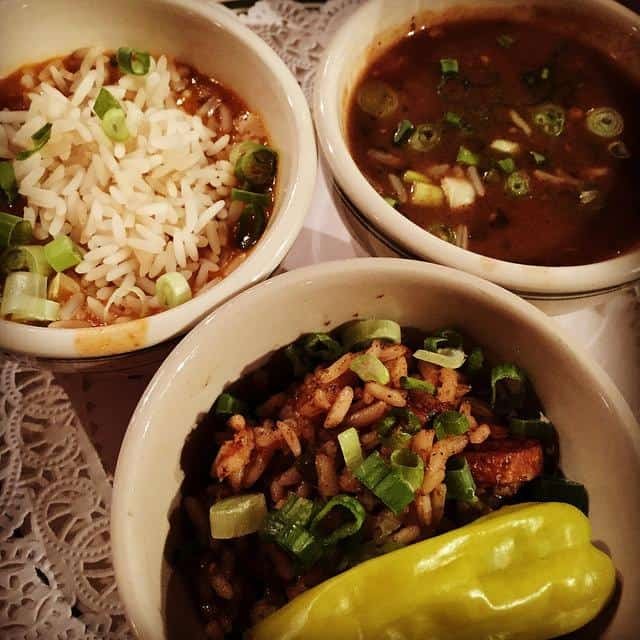 What's the different between Creole and Cajun cuisine? While a few French Canadians will probably know some of those answers, most will have no idea. 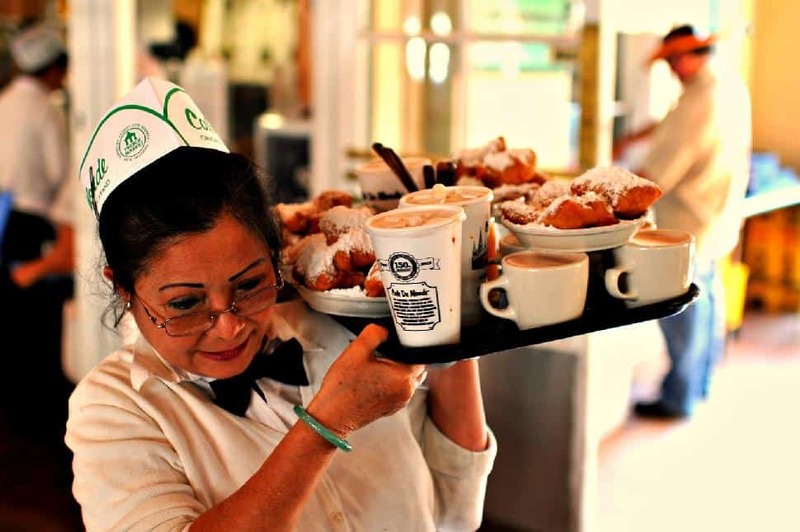 Food tours like Tastebud Tours offer a chance to sample the finest fare in New Orleans while gaining a foodie education. By the end of the tour, visitors will know all about NOLA's blended French and African cultures. No, really, the people are easily the best part of New Orleans. While their accents are totally novel to the Canadian ear, New Orleans locals are interesting company to keep. Maybe it's the city's laissez-faire attitude towards public drinking or all the marsh gas, but oftentimes you'll find someone, somewhere, making some type of spectacle. Jackson Square is an eternal favourite people-watching vantage point. It routinely features jazz bands, tarot card readers, buskers and local artists who take their craft above and beyond the average caricature. New Orleans is a highly spiritual city with a rich culture of honouring their dead. However, three centuries of death, disease, love gone wrong and murder have left their mark on the city. Some would call it paranormal activity. Whether visitors are believers or skeptics, an evening of legends, lore and ghastly tales on a Strange True Tours or the City of the Dead Walking Tour is an evening well spent. If nothing else, visitors will learn a lot about the city's rich history of murder, mystery and mayhem. The St. Louis Cathedral stands as one of the most recognizable landmarks in New Orleans. The cathedral is also renowned for being the oldest Catholic cathedral in continuous use in the United States. Visitors can stop by for Mass or catch one of the free classical concerts hosted by the Catholic Cultural Heritage Centre. New Orleanians love to dance, and not just to the house beats either. For those who want to join the swinging crowds at the jazz clubs but don't know how to get down, the city provides. Each Sunday, visitors can get free swing dance lessons at the NOLA Jitterbug Dance School. Voodoo may seem like a dark tradition limited to Haiti and the Dominican Republic, but there are over 20,000 practitioners in the French Quarter of New Orleans alone. (!) Visitors can visit a voodoo mama if they dare, or err on the side of conservative and simply visit the Historic Voodoo Museum. Nestled on Rue Domaine between Bourbon and Royal Streets, visitors will learn about the practice behind voodoo dolls, juju bags and love potions. Magazine Street is the retail heart of the city. This commercial district appeals to all, from kitschy souvenirs to haute couture. Consider dropping by the Funky Monkey boutique for some unique thrifty bargains, or the Modern Market for great deals on contemporary furniture. Often referred to as the "heart and soul of New Orleans," Bourbon Street is a must visit part of any vacation to the city. Best experienced at night, it seems like the whole city comes out to drink, dance and enjoy the nightlife. Speaking of Bourbon Street, visitors would be remiss if they passed up a chance to visit Saints and Sinners bar. This risqué bar features a seductive theme night each night of the week. As the name suggests, it features burlesque entertainment. It may also interest visitors to know that Hollywood actor and Hollywood heart-throb Channing Tatum is a part owner. Fingers crossed for an impromptu visit! When foodies have had their fill of gumbo, jambalaya and shrimp etouffee, New Orleans still has some culinary surprises in store, if visitors have the stomach for it. The Audubon Butterfly Garden and Insectarium is the largest museum dedicated to creepy crawlies in North America. Visitors can explore the abundant insects that are home to Louisiana swamps or view thousands of butterflies in the Asian garden. 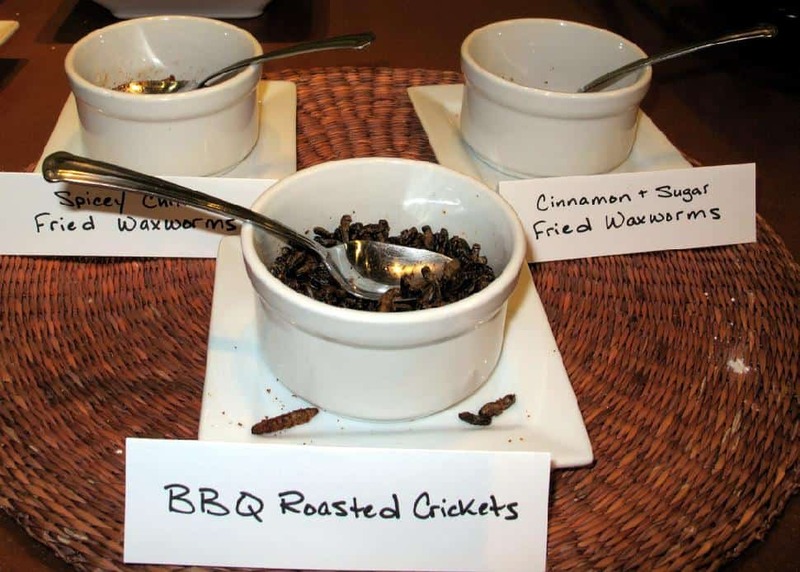 However, the biggest thrill is engaging in their cafeteria's buffet of edible insects. From spice-encrusted grasshoppers to ant cookies, it is an adventure for the daring eater. Those who can't back down to a dare will love visiting. Explore the life aquatic at the Audubon Aquarium of the Americas. Located on the banks of the Mississippi, this aquarium showcases more than just river dwelling-fish. After all, NOLA sits on the edge of the Gulf of Mexico. Visitors can watch the deep seas come to life as stingrays, sharks, green sea turtles and more exotic marinelife glide through the waters of their 52,000-litre tanks. 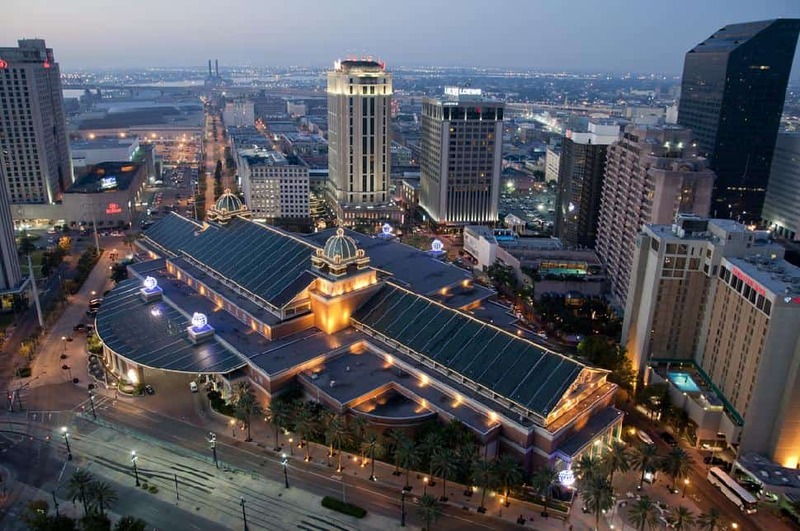 One would expect the World War II museums to stick closer to the United States capital, but New Orleans actually played an integral part to the operation that lead to the end of the war. At America's National World War II Museum, so named by Congress in 2003, visitors can tour exhibits that document the city's involvement. One of their best exhibits showcases the boats used on D-Day which were designed, built and tested right in New Orleans. 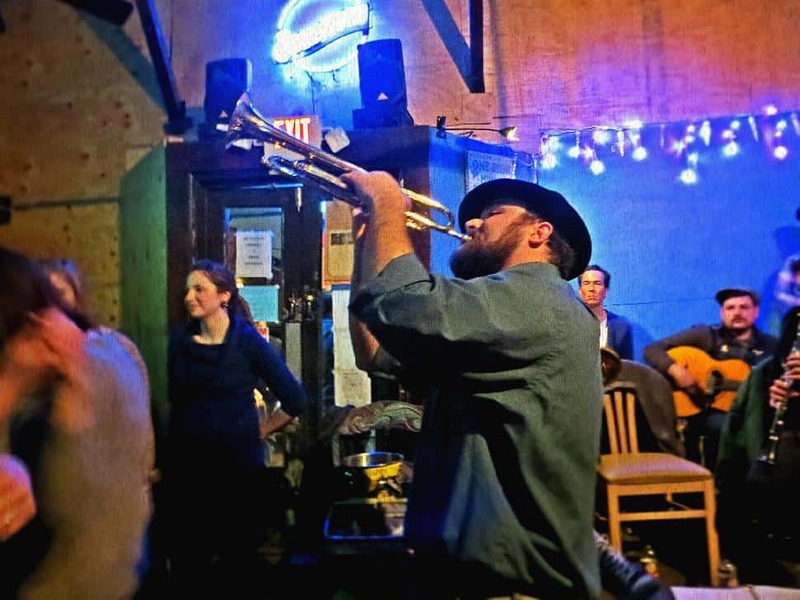 Frenchmen Street is, hands down, the best place to seek out live music in New Orleans. On any night of the week, visitors will hear clubs in full swing, with jazz, blues, rock and reggae spilling into the street. The antique wooden carousel in the Carousel Gardens area of City Park has been ingrained into the childhood memories of New Orleans locals for more than a century. No matter your age, you are never too old to have a go on the "flying horses," It is truly a magical landmark and small children ride for free. 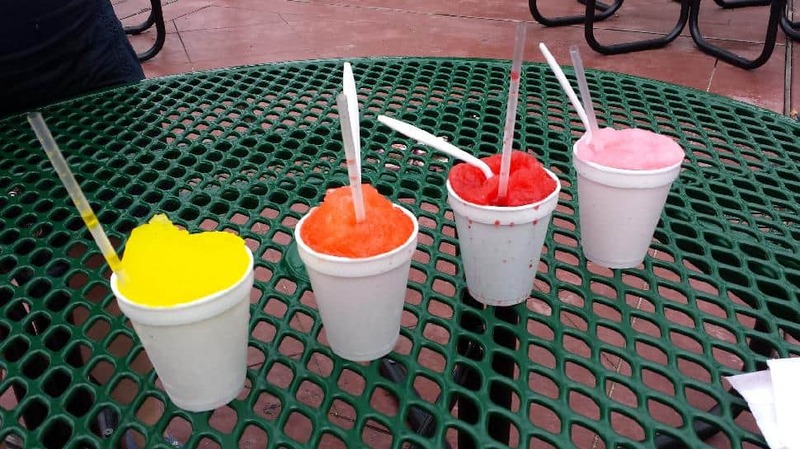 While the city is home to plenty of ice cream shops, their biggest defense against the eight-or-so months of subtropical heat is the sno-ball. Sno-balls are essentially snow cones (but never call them that) which see shaved ice drenched in a sugary syrup. As the city's favourite treat, visitors will find them everywhere. Consider a visit to Hanson's Sno-Blitz to sample contemporary flavours like satsuma, cardamom and ginger sno-balls. The non-profit House of Dance and Feathers has been a fixture in the Lower Ninth Ward since 2003. This unique museum documents the history and street culture traditions of the area. Admire a variety of costumes, from the beaded dress of Mardi Gras Native Americans, to gaudy club costumes from the likes of the Social Aid and Pleasure Club. New Orleans is famous for their hard-hitting, fruit-flavoured Hurricane cocktail. While a number of spots claim to have invented it, most believe that Pat O'Brien's serves the original. Regardless of whether visitors are a fan of the drink or not, their spacious green courtyard is a lovely spot to enjoy a refreshing beverage. New Orleans is surrounded by swampland, and visitors don't need to leave the city limits to experience them. 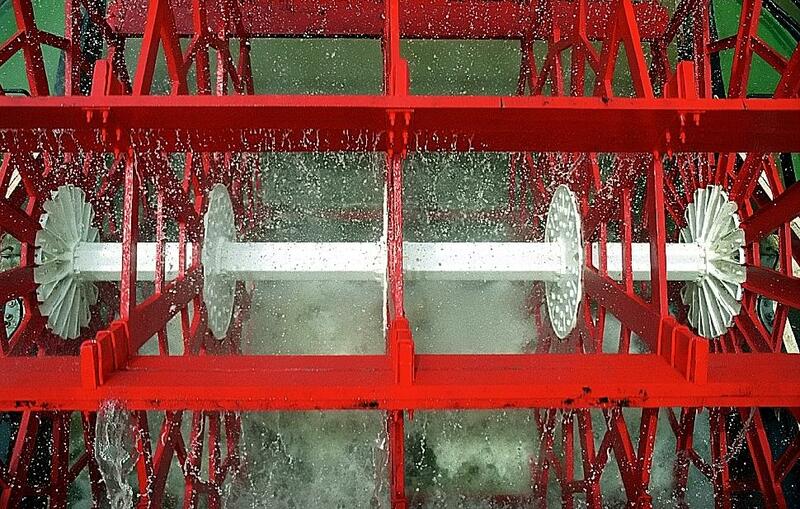 Visitors can tour on cruises or air boats, taking in their eerily silent splendor. One of tour highlights is spotting the native alligators that prowl the waters. While Anne Rice made New Orleans famous for its mysterious vampire culture, she didn't create it out of thin air. Vampire tales, and even vampire-like attacks, have floated about the city since the 1800s. Visitors will find themselves engrossed by bloody tales and sights such as Vampire Tavern. Located on the south end of City Park, the New Orleans Museum of Art features an excellent selection of American and French works of art. If you're exploring the property, don't miss the outdoor Sydney and Walda Besthoff Sculpture Garden. Stroll the park's walking paths that wind through old-growth forest and around lagoons, while admiring the beautiful sculptures that intermittently dot the property. More than 1,300 creatures live at the Audubon Zoo, including a rare komodo dragon. This is a great place for kids and adults alike to view elusive swap wildlife, such as rare species of alligator, muskrat and river otter. Madame Delphine Lalaurie was a thrice-married New Orleans socialite who lived in the city during the 1800s. One day when neighbours flocked to her house to put out a fire, they discovered her attic torture room. It's in this room where she brutally tortured and killed her slaves. After fleeing the angry mob she disappeared to Europe. The mansion has earned the reputation as one of the most haunted places in the city. For more than 150 years, this historic cafe has been feeding guests French fare. The modern tradition has become beignets for breakfast after a hard night of binge drinking. If you're dropping by the care, don't wear black. Watching people brush the powdered sugar off themselves is a fun hobby for the locals. The Mercedes-Benz Superdome is a highlight of the New Orleans skyline. Not only is this UFO-shaped stadium fascinating to look at, it is home to some of the city's best events. During football season, the town goes wild when their beloved New Orleans Saints play. The rest of the year it serves as the venue for the biggest concerts, hottest acts, international conferences and various themed festivals. Visitors will soon notice that oysters are a menu staple in New Orleans. Visitors looking to sample them should do so at the place that has been serving them the longest. 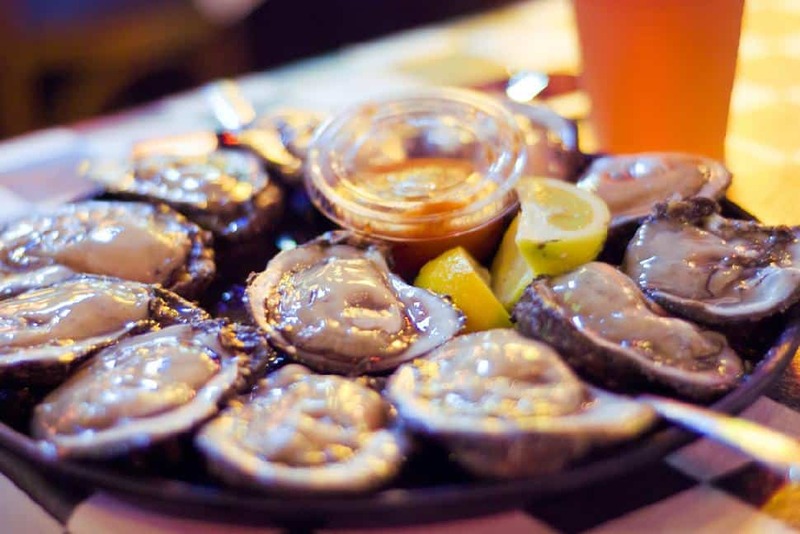 The Acme Oyster House is the oldest oyster bar in Louisiana and serves them in a number of unique ways. Dolls are polarizing; either they enamour or creep people out. One of the quirkiest museums in New Orleans is the House of Broel Dollhouse Museum. Housed in a stunning restored antebellum, the museum's charm is reason enough to visit. Once inside, get ready to stare down a collection of 100+ antique dolls, dating as far back as the 16th century. And of course where dolls live, there are doll houses. The museum also features 60 historically accurate dollhouses, showcasing famous palaces from around the world. There are a number of casinos and race tracks around the city, but Harrah's consistently ranks high among the best casinos in the United States - by a number of publications. Located at the end of Canal Street, visitors enjoy the latest in slot technology and action-packed table games, 24 hours a day. This wax museum remains one of the best kept secrets in New Orleans. Discover the fascinating history of New Orleans through exhibits featuring to-scale wax mannequins of historical figures. With 300 years of history and 154 figures, the Conti Wax Museum marries fun and education in an entertaining setting. The city sits right on the banks of the Mississippi River and on the Gulf of Mexico, offering endless hours of fishing. While visitors can fish from shore or on a boat, the most unique experience belongs to Southern Seaplane operator. This outing takes visitors off the coast of Louisiana, to a secluded sandbar in the gulf, to hook yellow mouth trout and big redfish. There are only a small handful of museums that dedicate themselves to art by southern artists. For this reason the collection at the Ogden Museum of Southern Art is unlike anything visitors will ever see. The museum specifically showcases artists from the 15 southern states, with pieces produced between the 18th through the 21st centuries. Head over heels for the food you sampled in New Orleans? Why not learn to make them yourself? The New Orleans School of Cooking isn't a fancy culinary institute, rather it teaches visiting home cooks to prepare Creole and Cajun dishes. Take NOLA home with you, mastering dishes like jambalaya, gumbo and shrimp Creole. For one of the best views of New Orleans, visitors need to get on the water. The Canal Street Ferry takes walk-on riders for free across the Mississipp, offering up splendid riverside views of New Orleans. Fried chicken and the South, the South and fried chicken - they will eternally be associated with each other. New Orleans is home to arguably some of the best fried chicken in the southern United States. In the Seventh Ward, two competing chicken houses exist. Rather than waging a food war, they revel in the differences between their chicken fry. 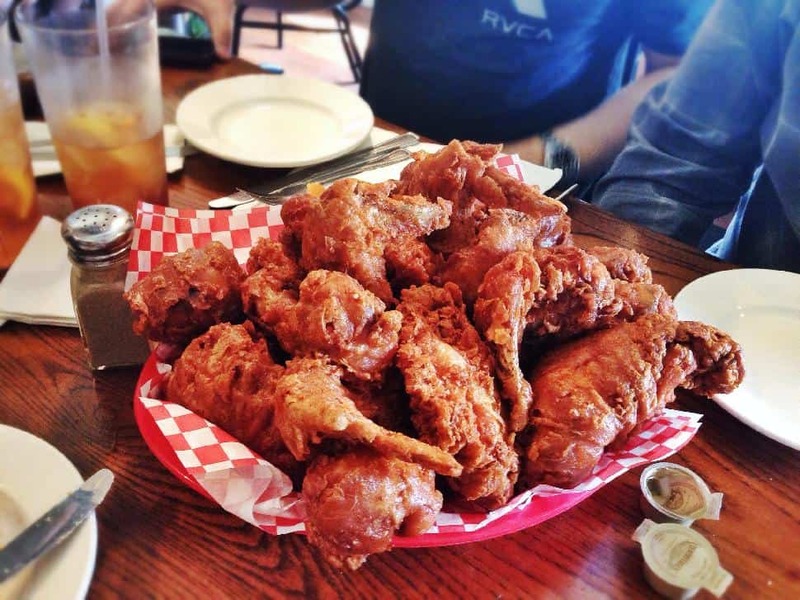 Willie Mae's Scotch House has earned national acclaim for their fried chicken, while the competing Dooky Chase's remains one of the best secrets of New Orleans. Mardi Gras, St. Patrick's Day, Jazz Fest...no matter what time of year visitors make the trip to New Orleans, there is always something going on in the city. Check ahead for current events in the city and there is sure to be something. 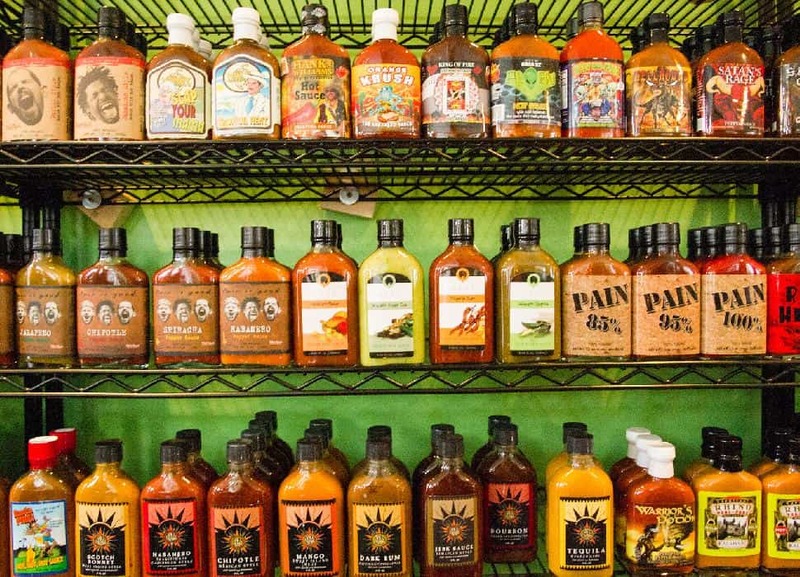 Think you have a stomach for some of the spiciest hot sauce in the world? Put it to the test at Pepper Palace. Visitors are welcome to sample any sauce they sell for free, or attend an organized tasting event on Fridays. In an unassuming aging building, Preservation Hall is New Orleans institution, renowned for its contributions to the jazz genre. This hall still features traditional jazz by local artists in order to preserve the original legacy. Sample the original art in its purity among the hall's intimate setting. The Chalmette Battlefield sits just a few kilometres outside of the French Quarter. It served as the battleground of the Battle of New Orleans, during the War of 1812. Visitors can learn about the war and the battle anytime of the year, but January marks prime re-enactment season. Rhonda from Travel? Yes Please! This bookstore in the French Quarter is a haven for fine literature and rare editions. 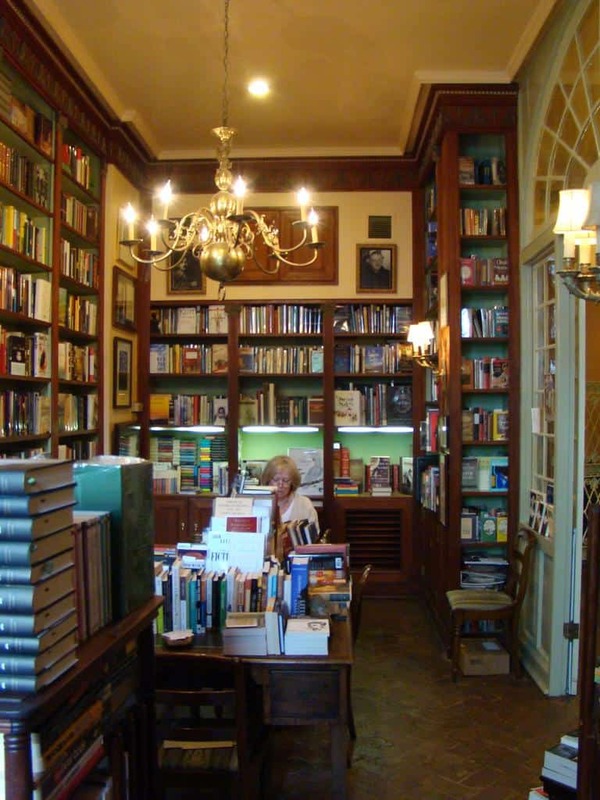 It's a rather innocuous shop that is frequently hailed by national news media, collectors and writers as one of the best, and most charming book stores in America. For those who want to get some exercise while being rewarded by beautiful scenery, try kayaking the Bayou St. John. This stretch of water has become so popular among kayakers, that in recent years a small army of tour operators now lead kayak tours there. For the thrifty it remains cheaper to rent a kayak and explore independently. Since it opened in 1929, the Bottom of the Cup Tea Room has earned a reputation for having the most reliable and authentic psychic readings in New Orleans. Visitors drink their tea and after they finish, a psychic reads the leaves left in the bottom. Even if visitors don't hold with the art, they still serve a great cuppa. New Orleans has a number of great golf courses, but for those who love water and want a real challenge, English Turn is the course to visit. This Jack Nicklaus-designed, par 72 course offers water on every hole throughout its unique design. Some love it, some hate it, but there is no denying that this massive bacchanal is the city's most famous attraction. 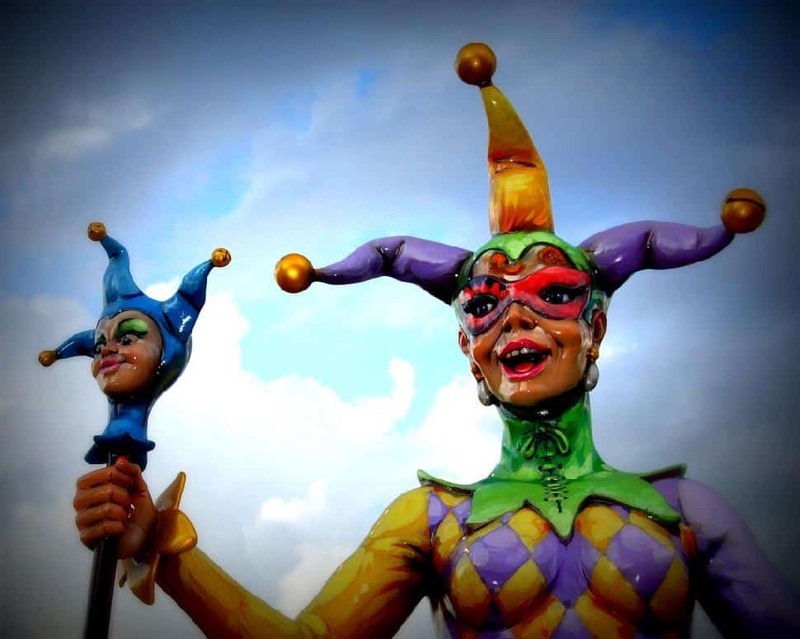 Mardi Gras is the New Orleanian take on the Carnival celebration which falls on Fat Tuesday. (It's hardly the only one - Carnival is celebrated widely in the Caribbean and parts of South America.) As the last big night to party before Lent, festival-goers don costumes, throw parades and consume a lot of alcohol and food. It is a spectacle in the best possible way. Fear not, if you're unable to visit New Orleans during Mardi Gras, there exists Mardi Gras World. This massive warehouse is where floats are stored and constructed throughout the year. Visitors can tour floats new and old, as well as meet the craftsmen who make them. What's your favourite New Orleans memory? We want to know - comment below!